"Rich in soothing, modulating active ingredients, Sensibio Forte quickly soothes cutaneous reactions and increases the skin's tolerance threshold. Hydrating and moisturizing agents fight the cutaneous dehydration which often accompanies irritation." I found this gem from Bioderma at my pharmacy and had to pick it up as it seemed perfect for my skin - and I'm glad I did. I use this cream on a when-needed basis whenever the redness in my skin flares up, whether it's from a reaction to something I've used, or from a touch too much sun, water irritation after a warm shower, or after even a gentle exfoliation. I've found that it helps with rosacea-related redness. 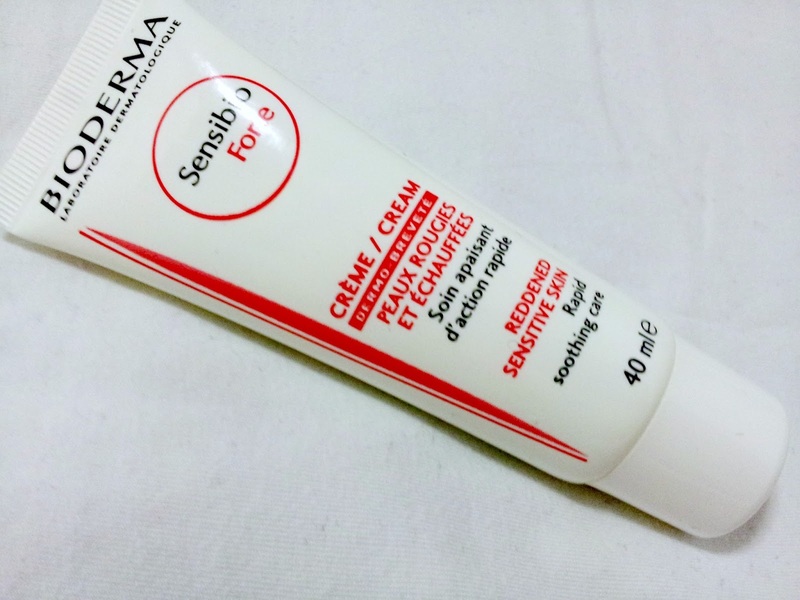 Immediately after applying this soothing cream, I can feel my skin's irritation disappearing, and within a minute it is fulling absorbed, leaving my skin softer, moisturized and visibly less red.